A home for sale on Vancouver's West Side is getting a lot of attention, and for the first time in years, it's because of how low its price is. The large, detached property on Chaldecott Street was recently listed for just under $4 million. While that's still too much for the average Vancouverite, it's more than $2 million under what the same home sold for last spring. 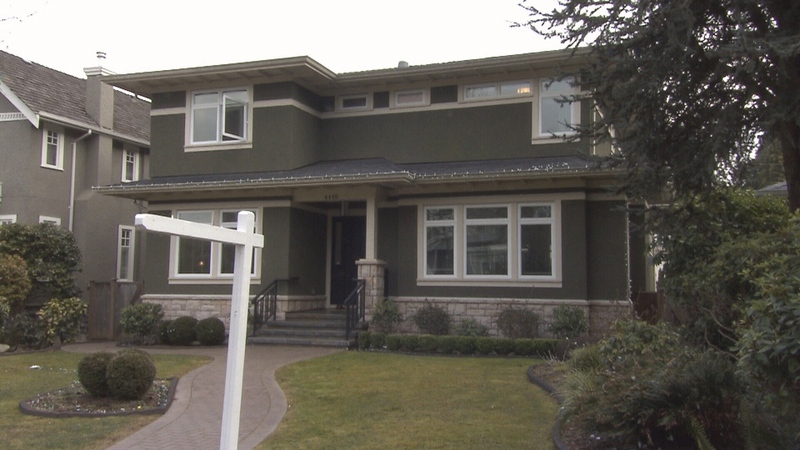 According to economist Tom Davidoff, the 4,500-square-foot, six-bedroom home is exactly the kind of property that's been hardest hit by Metro Vancouver's recent real estate downturn. "Very, very slow sales, and the houses that are selling, you're seeing these very, very large price reductions," Davidoff told CTV News. The property sold last April for more than $6 million. This year's assessment pegs its value at just over $5 million, but it's now only listed for $3.9 million. And the sellers are far from alone. In a report released last month, Royale LePage forecasted a 7.1-per-cent decrease in the median price of a luxury home in Metro Vancouver over the course of 2019 – a $410,000 drop. Between January 2018 and January 2019, the period studied in the report, the median price of a luxury home in Greater Vancouver fell by 1.7 per cent to about $5.75 million, the report said. But the most dramatic difference was in the number of luxury properties changing hands. According to the LePage, luxury home sales declined for a second year in a row, falling 50.5 per cent during the time period studied. When it came to condos, that number was 30.2 per cent, the report found. CTV News reached out to the realtor for the Chaldecott property in hopes of obtaining some answers about why the asking price is so low, but couldn't get an answer. Vince D'Ovidio, another realtor, said that the current market is especially bad for those looking to sell quickly. According to D'Ovidio, in a buyer's market such as this, owners can be reluctant to put their houses up for sale, but eventually, some won't have a choice, even if it means losing money. "People are still getting married, divorced, having children and all that," he said. "They can only put that off for so long, and they have to get back in the market." A home for sale on Vancouver's Chaldecott Street is seen in this image from March 2019.